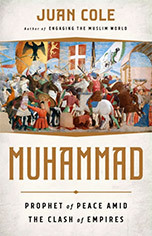 Joseph Richard Preville interviews Juan Cole about his new book, Muhammad: Prophet of Peace Amid the Clash of Empires. Prophet Muhammad was one of the most fascinating and influential figures in human history. Noted historian Juan Cole takes a look at his extraordinary life and mission and the community he founded in Muhammad: Prophet of Peace Amid the Clash of Empires (Nation Books, October 2018). Cole grounds his excellent book in a historical and textual study of the Qur’an and an analysis of how geopolitical forces and events from Rome to Persia shaped Muhammad’s worldview and peaceful theology in seventh-century Arabia. Juan Cole is Richard P. Mitchell Collegiate Professor of History at the University of Michigan. He is the author of Sacred Space and Holy War (I.B. Taurus, 2002) Napoleon’s Egypt (Palgrave Macmillan, 2007), Engaging the Muslim World (Palgrave Macmillan, 2009), and The New Arabs (Simon and Schuster, 2014). Cole has appeared as a guest on PBS NewsHour, ABC World News, the Today show, Anderson Cooper 360, The Rachel Maddow Show, The Colbert Report, Democracy Now!, Aljazeera America and many other programs. 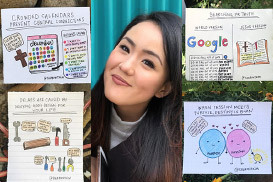 Cole’s popular blog, Informed Comment, averages 4.5 million page views per year. Juan Cole discusses his new book in this interview. Joseph Richard Preville: What problems do historians face when writing about the life and times of Muhammad? What are the principal sources you consulted to write your book? Juan Cole: The problem is that the Arabic biographical sources for the life of Muhammad ibn Abdullah (d. 632) are largely undated or dated 130 to 300 years and more after the death of the Prophet. The one primary source we have, which is contemporary with the Prophet, is the Qur'an, which Muslims believe God revealed through him. Carbon dating and paleography are proving that the Qur'an is early 7th century. If we want to do intellectual history, the Qur'an is a relatively large book and can tell us a lot about what the Prophet recited to his contemporaries. I think the Qur'an can also be set in context by Greek and Persian works of that time. JRP: You write that “Islam is, no less than Christianity, a Western religion that initially grew up in the Roman Empire” and that “Muhammad saw himself as an ally of the West.” How does your theory challenge or support other major scholarly interpretations of early Islam? JRP: What was Muhammad’s role in the creation of the Constitution of Madinah? How revolutionary was this document for its time? JRP: How did medieval Muslim clerics slight or minimize the Qur’an’s peace verses by a theory of abrogation? JRP: You have placed strong emphasis on Muhammad as a “Prophet of Peace.” How do you think your book will encourage and strengthen Islamic peace studies? JRP: Could you recommend a few biographies of Muhammad and books on early Islamic history by contemporary authors? JC: A crucially important work is Fred Donner, Muhammad and the Believers (Harvard University Press, 2010). G. W. Bowersock's Crucible of Islam (Harvard University Press, 2017) is excellent on the context of early Islam in late antiquity. The same author's Throne of Adulis (Oxford, 2013) takes on the Ethiopian, Yemeni and Red Sea geopolitics of the Roman Empire as a background to the rise of Islam. It is a wonderful book. Carl Ernst's How to Read the Qur'an (University of North Carolina Press, 2011), is also essential. 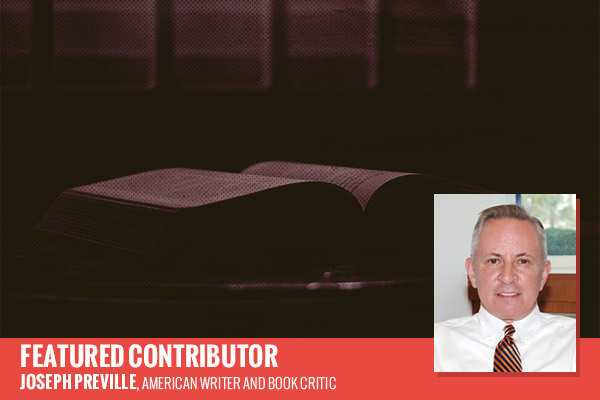 Joseph Richard Preville is an American writer and book critic. 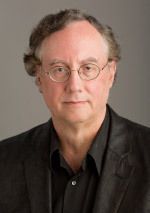 His work has appeared in The Christian Science Monitor, San Francisco Chronicle, Harvard Divinity Bulletin, Tikkun, The Jerusalem Post, Muscat Daily, Saudi Gazette, The Christian Century, Catholic Historical Review, Journal of Law and Religion, and Journal of Church and State.